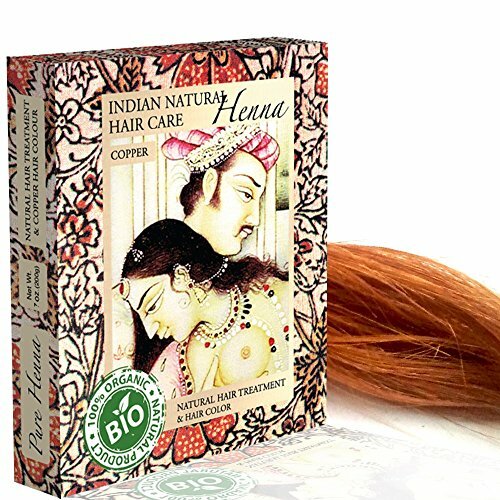 Hannah natural's pure henna is simply 100% pure henna leaves. Our product is 100% natural and chemical free. Switch to our all natural product and see and feel the difference. 100% Pure, naturally grown, cruelty free and vegan henna and indigo powder hair color. All our henna and indigo plants are naturally grown. We do not use pesticides, add chemicals or test our products on animals. Our henna hair dyes are always a fresh batch, that being said. None of the products are more than 1 year old, that means you can always expect fresh powder with strong color on your hair with great conditioning. High Lawson Content for Guaranteed results. *Our Henna Hair Dyes (Gives Red Color)& Indigo Powder (Gives bluish Color) are one of a kind & are highly Rated Henna Products available in the market. * Its because we take great care of our henna & Indigo crops by not using chemicals, pesticides or any harmful agents that are bad for your health. * We Triple Sift our powders to ensure finest and smoothest powders (We lose lot of product in the process but this process ensures highest quality of end product) *After Leaves are harvested from plants these are then stored in temperature controlled environment until ready to be turned into powders. * We always carry fresh batches of all our products, that being said, none of our Henna powders or Indigo Powders are older than 12 months to 18 months, which is why our powders are very potent with strong stains. We recommend strand tests before application to get desired colors. * We research different ways of applications & advise our customers accordingly on how to mix different shades together to get over 70 shades. 100% Natural Henna processed with the perfect way of triple sifting using traditional cloth sifting method to get the finest powder. There is no use of any chemical, paraben or pesticides at any stage of the farming or production. How To Use: Mix henna powder with water to create a thick paste. Leave it for approximately 3 to 4 hours. Apply the paste on hair and leave it on for 3 hours. Rinse off thoroughly with water. Henna is safe for use in hair. 100% Natural Henna Powder, triple sifted to give you the smoothest paste for easy application. 100% Natural product. Free from PPD, Chemicals, Artificial additives and parabens. Excellent Natural Alternative to chemical Hair Dyes, Natural hair care and nourishment. A Product directly from Sojat, Rajasthan - India. (The only place in India where the premium quality Henna grows). A premium quality product of India in Bulk Packaging and wholesale pricing. 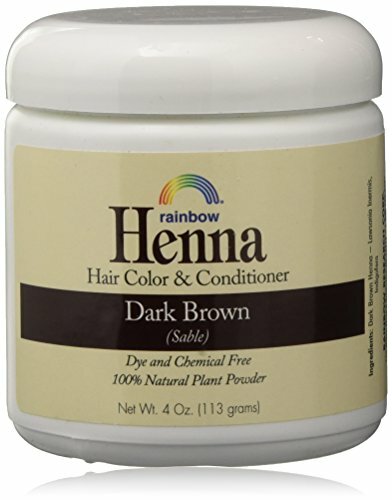 Our Hot selling Dark Drown Henna is made from all the natural ingredients to protect your hair from any damage. It is equally good for Women and Men. 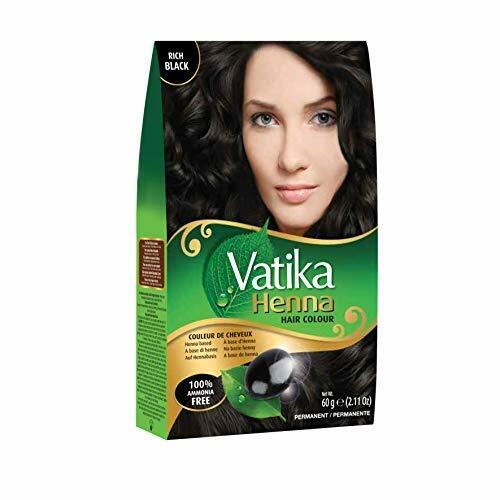 This Henna will give your hair a dazzling dark brown look making sure your hair remains healthy and striking. 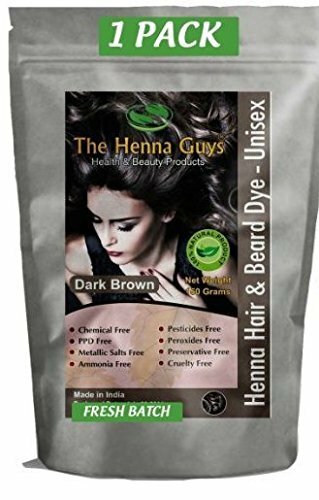 Your order of 1 dark brown will contain 100g Dark Brown & 50g pure henna powder for 2 step process which is highly recommended to achieve desired color. 1 Pack is enough for mid back length hair for women and 2 application for men assuming regular hair. 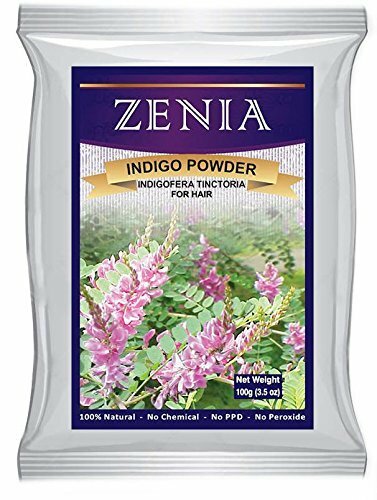 Ingredients: Indigo Powder (Indigofera Tinctoria), Henna Powder (Lawsonia Inermis), Amla (Emblica Officinalis Gartn), False Daisy (Eclipta Alba), Neem (Azadirachta Indica) Our Henna Hair Dyes & Indigo Powder are one of a kind & are highly Rated Henna Products available in the market. This is because we take great care of our henna & Indigo crops by not using chemicals, pesticides or any harmful agents that are bad for your health. We Triple Sift our powders to ensure finest and smoothest powders ( We lose lot of product in the process but this process ensures highest quality of end product) After Leaves are harvested from plants these are then stored in temperature controlled environment until ready to be turned into powders. 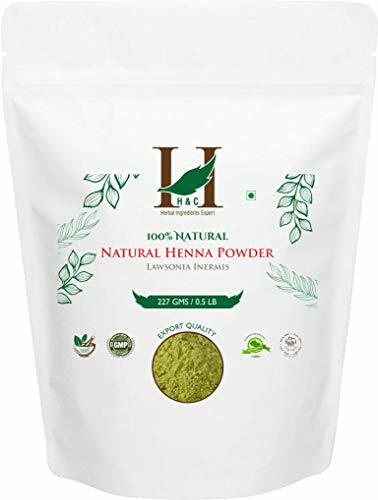 We always carry fresh batches of all our products, that being said, none of our Henna powders or Indigo Powders are older than 12 months to 18 months, which is why our powders are very potent with strong stains. We recommend strand tests before application to get desired colors. We research different ways of applications and advise our customers accordingly on how to mix different shades together to get over 70 shades. Best Value : 5.30 Oz Powder Packed in Huge Aluminum Foil Bag with airtight environment for Longest Shelve Life. 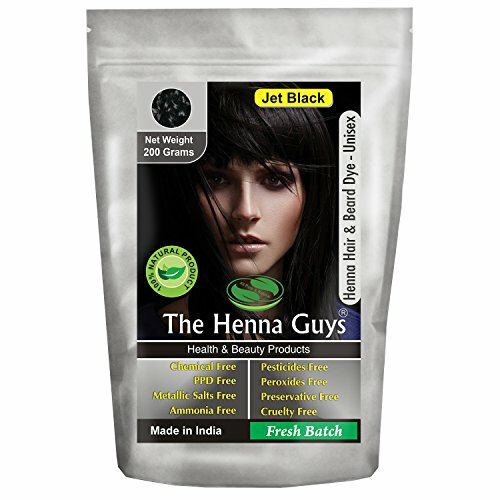 1 Pack = 100 Grams of Dark Brown Henna & 50 grams of Pure Henna for 2 Step Application Process. Chemical Free: This Product Is FREE of chemicals & color developers that are required to change the color of your dark hair . 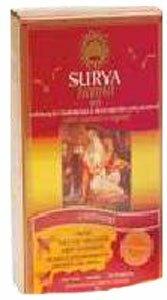 Surya Henna Cream colors while conditioning, moisturizing and revitalizing your hair. Our formula, enriched with vegetable extracts, nourishes hair for increased luster, softness and elasticity. 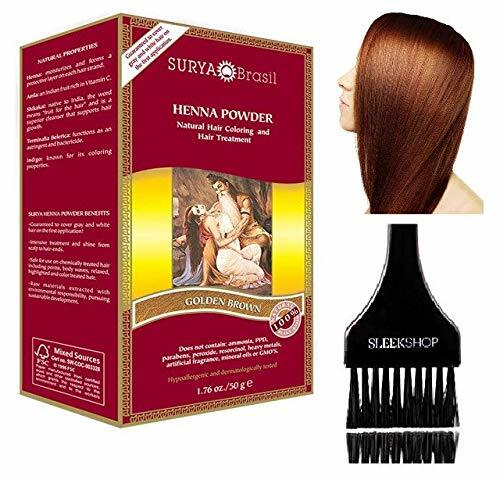 The unique coloring process does not strip the melanin from the cortex of the hair, but rather forms a protective coat of rich semi-permanent color around each strand.Surya Henna Cream is a new concept in hair coloring and treatment; it won't harm your hair or your health. 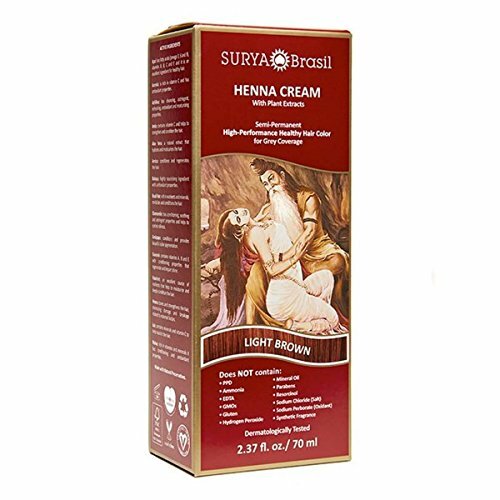 Based in the principles of Ayurveda, Surya Henna Cream is formulated with a botanical complex of 15 herbs and fruits from India and Brazil's Amazon rainforest. Hypoallergenic and dermatologically tested Natural Properties Henna: moisturizes and forms a protective layer on each hair strand.Arnica: functions as a capillary stimulant and as a vasoprotector.Guarana: a Brazilian fruit that functions as a capillary stimulant.Acai: a Brazilian fruit that moisturizes and acts as an emollient and remineralizer.Jua: a Brazilian fruit that is anti-inflammatory and stimulates circulation of the scalp.Aloe Vera: an emollient that moisturizes and softens.Brazil Nut: an emollient that moisturizes, revitalizes and conditions. 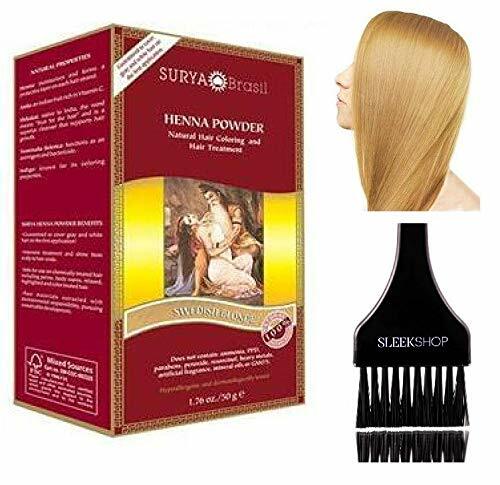 Surya Henna Cream BenefitsGuaranteed to cover gray and white hair on the first application. Intensive treatment and shine from scalp to hair-ends. Safe for damaged and chemically treated hair including perms, body waves, relaxed, highlighted and color treated hair. Raw materials extracted with environmental responsibility, pursuing sustainable development. * This is a Two Step Process Kit to get Black / Jet Black Hair Color, * First Time Users May have to apply multiple times to achieve desired color. Please Contact Us with Any Questions. 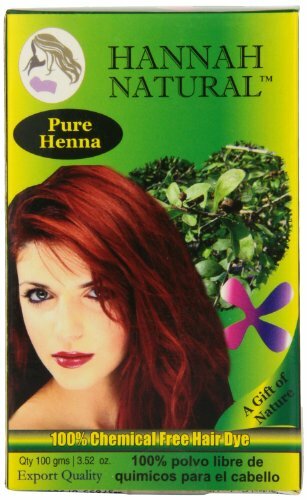 *Our Henna Hair Dyes & Indigo Powder are one of a kind & are highly Rated Henna Products available in the market. * Its because we take great care of our henna & Indigo crops by not using chemicals, pesticides or any harmful agents that are bad for your health. * We Triple Sift our powders to ensure finest and smoothest powders ( We lose lot of product in the process but this process ensures highest quality of end product) *After Leaves are harvested from plants these are then stored in temperature controlled environment until ready to be turned into powders. * We always carry fresh batches of all our products, that being said, none of our Henna powders or Indigo Powders are older than 12 months to 18 months, which is why our powders are very potent with strong stains. We recommend strand tests before application to get desired colors. * We research different ways of applications & advise our customers accordingly on how to mix different shades together to get over 70 shades. 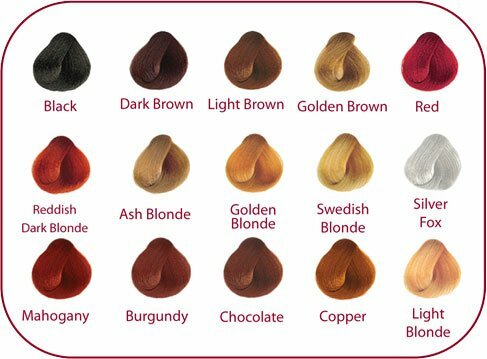 Product CAN NOT Lighten your Dark Hair Color, you may have to apply couple of times to get desired color if applying for the first time. 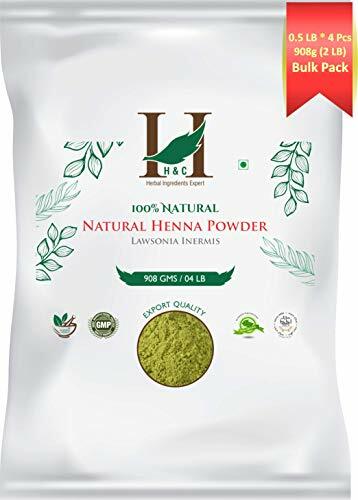 H&C Natural Henna Powder is 100% natural and is made from organically cultivated henna plant leaves rich in lawson content. 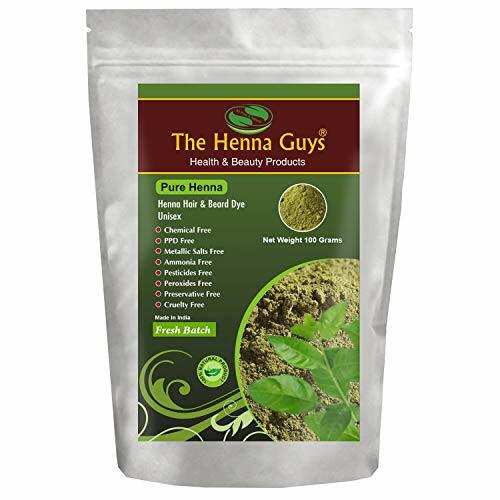 The Henna Powder provided by us is triple sifted which make is easy to mix with water. 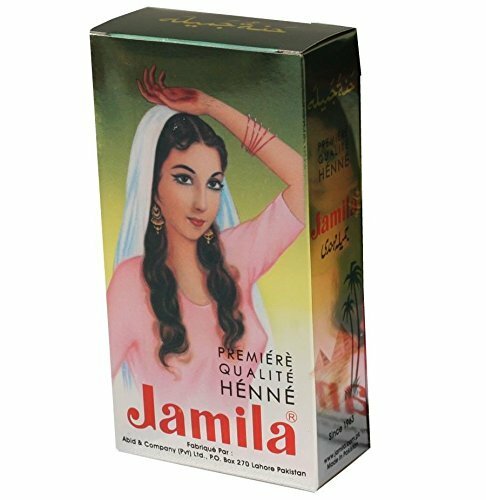 It is 100% pure henna powder and does not contain any type of chemical or PPD. 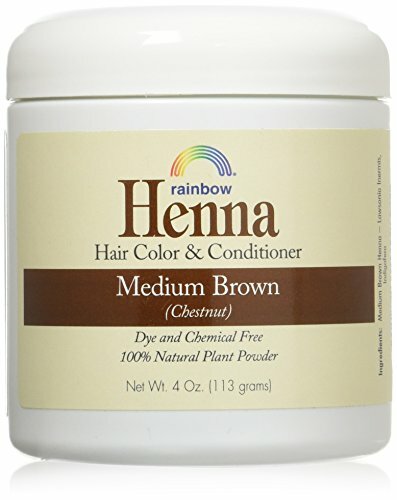 H&C's Henna Powder is safe to use for all ages and give natural color, shine and conditioning to hair. 100% Natural henna powder, give natural color, shine and conditioning to hair. Made from Organically cultivated Henna Leaves. Does not contain any chemical or PPD. Safe to use for all ages. Triple sifted powder makes it easy to mix with water and application. Includes a Sleek Tint Applicator Brush for easy applications and mixing! 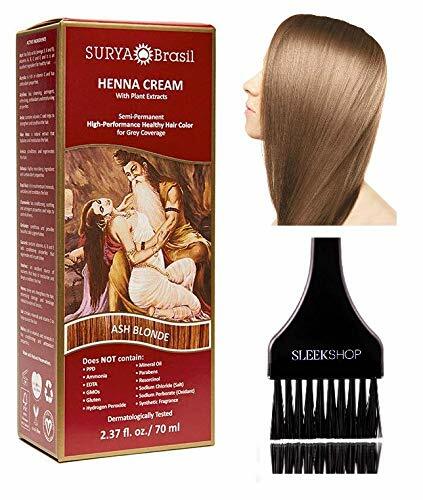 Winner of the Best of Natural Beauty Awards, Surya Brasil's high performance Henna Cream Color is an anti-oxidant rich semi-permanent hair color that infuses hair with lush, vibrant color while nourishing with sustainably harvested botanicals. 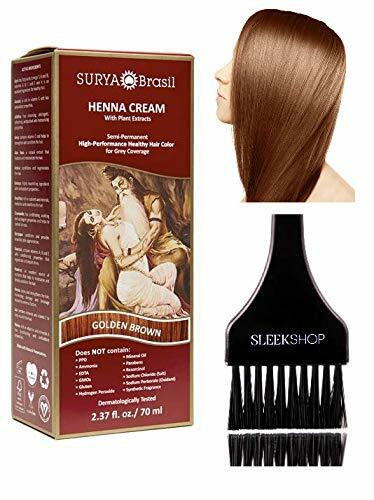 Every shade of Surya Brasil's sophisticated natural color contains vegetable extracts including herbs and fruits from Brazil and India, which offer simultaneous coloration and deep conditioning treatment for the hair as well as intense treatment for the scalp. 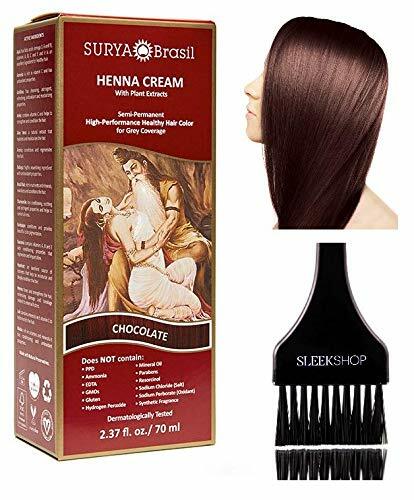 Surya Brasil henna hair color cream offers a safer and all natural way to cover your grey or change your hair color, while simultaneously protecting your scalp and coloring, conditioning, strengthening and adding extra shine to your hair. Easy to use, these at-home natural color shades are hypoallergenic and dermatologically tested as well as safe for use on chemically treated hair, color-treated hair and highlights. 100 Grams is enough for Mid Back Length Hair for Women & 2 Applications for Men. Composed of pure natural, non-allergenic ingredients. Cultivated in India. 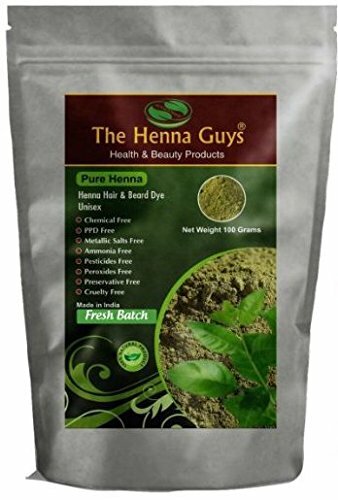 Henna is a powder obtained from dried and crushed leaves of the traditional Indian plant Lawsonia inermis, which contains a purely natural substance lawson that binds to hair proteins and produces a permanent colouring effect. In addition, the leaves of this plant have healing effects. They leave hair shiny, soft and protects the scalp against dandruff or other skin diseases. It does not contain any ammonia, peroxide, heavy metals or other chemical additives. 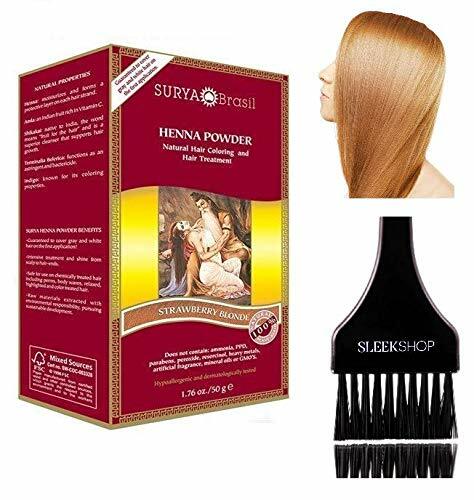 Before using henna and other natural dyes, it is not recommended to use silicone shampoos and conditioners to allow penetration of natural pigments into the hair structure. The hair should be clean from any residue of fixative sprays. Humans need love. And so does our hair. Discover its natural beauty. Packaging: 2x 3.5 oz bags inside the paper box. 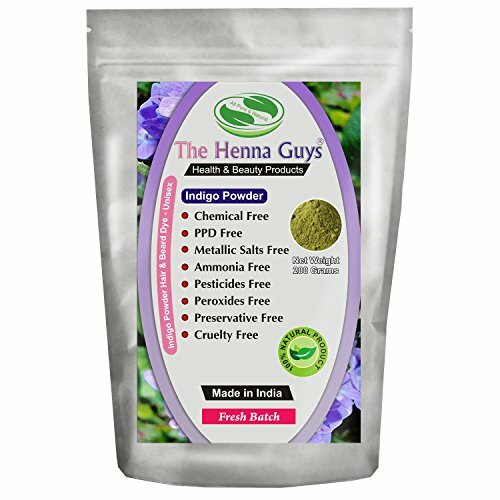 WHY to use our Henna powder? HOW to use our Henna powder? Mix properly the content with hot water (120 F). With short hair use approx. 2 oz, with long hair use approx. 3.5 oz. Apply the paste to hair and cover with plastic foil and towel. Let it work minimum of 60 minutes up to several hours. Intensity of colouring and beneficial effect of herbs will be increased with length of time applied. A 100% natural, sophisticated blend of beneficial botanical ingredients from Brazil and India that are formulated to color and condition the hair. 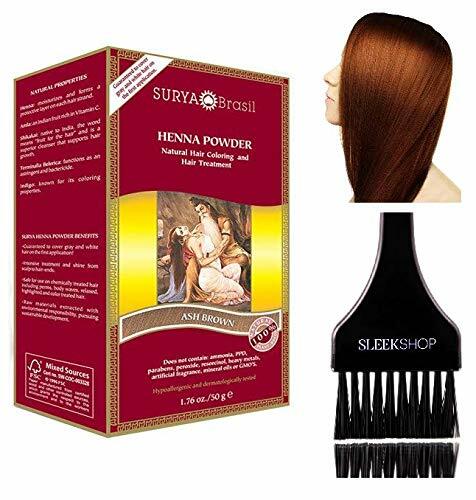 When applied, the Surya Brasil Henna Powder all natural hair color dye closes damaged hair cuticles and restores mass, strength and shine. 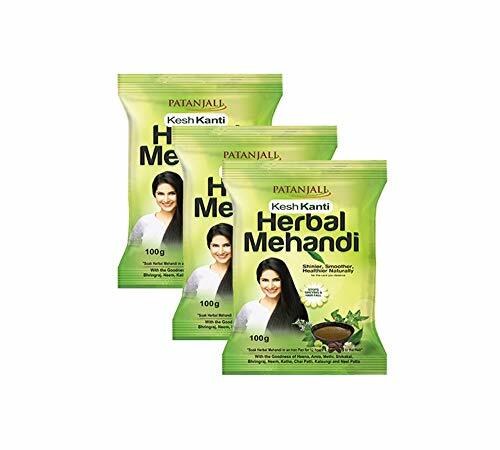 Ingredients: Lawsonia Inermis (Henna) Extract, Phyllanthus emblica (Amla) Extract, Ac cia Concinna Extract, Indigofera Tinctoria ( ndigo) Extract, Terminalia Belerica Extract. Nisha is a child brand of Prem Henna and Prem henna is a leading manufacturer and supplier of premium quality hair color products & skin care products. Our wide range of hair color products like powder and cr me hair colors in various shades provide consumers with a wide range of options to cover their greys. Our henna and henna-based hair color products are absolutely free from ammonia (no ammonia). 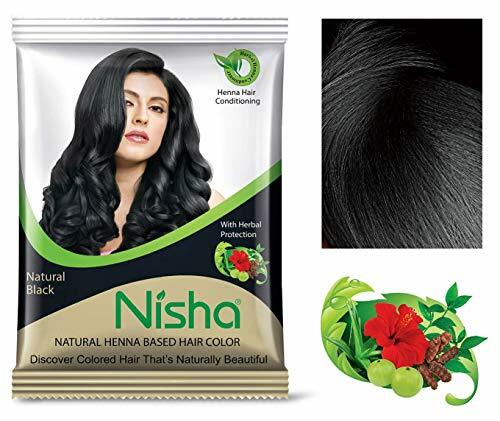 NISHA HENNA-BASED HAIR COLOR IS RICH WITH HERBAL PROTECTION Among the leading brands available in market, Nisha Hair Color is a premium grade natural-henna based hair color powder with benefits of precious herbs viz amla, shikakai, hibiscus & aloe Vera for complete nourishment of your hair. Ready-to-use henna-based color changed the way people and artists use mehandi paste for beautiful natural color. A perfect choice for routine or occasional events or all session useful, Nisha henna based hair color is designed as a compete tool for you enjoy full lovely hair designs with very softness and shining full Texture and Premium Quality so easily dry your hair.